Having been part of the process of this Advocacy workshop, and having gone through the desolation and consolation, I was thrilled to see how the last day of “REAL ACTION” plan went so smoothly. It was really wonderful to see how each participant felt the need to enter into, what I may call the ‘real action’ on all the issues that came up. I could see the commitment of the participants to the cause and to the people they are united with and struggling with. It was worth going through the birth pangs of this workshop. I sincerely hope and pray that we are guided by our ‘Advocate’ the Holy Spirit to take the process forward in each of the our places. Additionally, South Asia will also lead on Religious Fundamentalism. Two documents are also planned: one on our common mission, drawing together the above themes into one vision; and the other one on spirituality and Ignatian advocacy. Since your faithful correspondent was down with the flu during the sessions where the above was decided (that’s also the reason for the delay in posting – apologies! ), for the moment, I can’t completely assure the correctness of the nine points. I will update this list as soon as I have reliable information. The Workshop is over – the work can begin! This blog will publish occasional updates on the above topics, networks and groups. 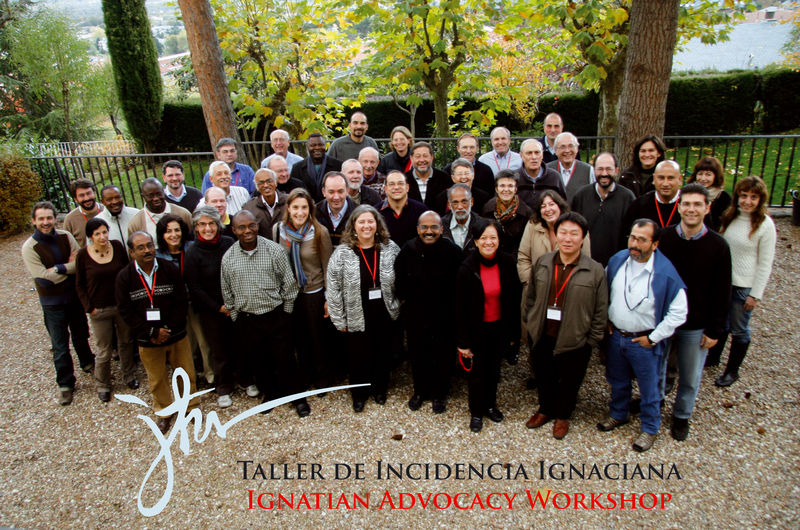 In order to stay connected, feel free to sign up by clicking on “Subscribe to Ignatian Advocacy” below on the right and receive a message every time the blog is updated. Congratulations for the initiative and its sucessfull development. I’m sure this is just the beggining of something bigger. Thanks to the team who prepared and lead the meeting. Thanks for this blog. Thanks for the shared enthusiasm.